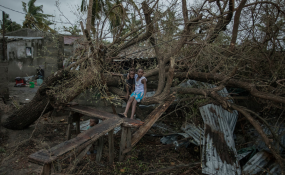 Maputo — THE Tropical Cyclone Idai sweeping through Southern Africa has left at least 173 people killed in the region. "The Secretary-General is deeply saddened by the loss of life, destruction of property and displacement of people due to the heavy rains and flooding caused by Tropical Cyclone Idai," he stated. "Houses have been destroyed. Trees and electric poles have fallen. Electricity and communications have been cut," LeSueur lamented.